Because of our sin, humans seek to be their own gods for themselves…trusting in their own ability to chart the course of their lives. Luther called this ambitio divinitatis. Even the spirituality of the old Adam is nothing other than the godlessness of self-idolization. Luther expresses sin not primarily as failures of omission or commission but as being “curved in on oneself” (incurvatus in se). God is in the business of opening up the incurvated and delivering them from the problem their own egos have become for them. For that reason, as old beings, we encounter God in a struggle. We want to control both our destinies and the destinies of others. Thereby we fight with God, just like the patriarch Jacob did at the ford of the Jabbok. Apart from God’s word of promise, we encounter God as “naked.” And we object to this God. He has not offered us the courtesy of asking for our counsel and, at some point, we eventually will actually hate this God, whom we perceive as an enemy. In light of the promise, faith can even be said to be the “creator of divinity” (fides creatrix divinitatis) (LW 26:227). Faith looks not to the “naked God” (deus nudus) with whom we (as naked sinners) struggle in a fierce battle of recognition (WA 40/II:330). Instead, it looks to the “preached God,” a word of promise that actually imparts the reality of Christ and his grace. 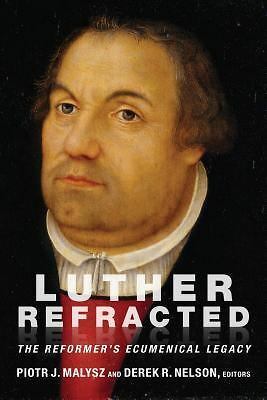 Words for Luther are not merely descriptors or directives and labels for feelings but can actually bring reality, a new reality, especially as the gospel word of promise which forgives, imputes, and frees. For Luther, grace doesn’t perfect nature, elevating the finite to the infinite, but instead liberates nature, sets us free from our drive to control others, our lives, even our own thoughts. “But Christ is the Lord of the Law, because He has been crucified and has died to the Law. Therefore I, too, am lord of the Law. For I, too, have been crucified and have died to the Law, since I have been crucified and have died with Christ.” How? Through grace and faith. When by this faith I am crucified and die to the Law, then the Law loses all its jurisdiction over me, as it lost it over Christ. Thus, just as Christ Himself was crucified to the Law, sin, death, and the devil, so that they have no further jurisdiction over Him, so through faith I, having been crucified with Christ in spirit, am crucified and die to the Law, sin, etc., so that they have no further jurisdiction over me but are now crucified and dead to me” (LW 26:165). The justifying word first reduces us to nothing-condemns us even at our best-so that God recreates a new being, new person, in Christ. The core of this person is freed not only from the accusation of sin but also–at least as one is in Christ–from our incurvation and the law’s accusation. We are “perfectly free lords of all subject to none” as Luther says in the Freedom of a Christian (1520). Paradoxically, we are simultaneously just and sinful (simul iustus et peccator). If there is any growth to be had in the Christian life–loving God and neighbor more–it will only be achieved when the person is liberated from his or her own incurvation. Only an external word (verbum externum) of promise from God can do that because there is nothing in the sinner, including one’s spirituality, that isn’t already an expression of such incurvation. Luther makes it very clear that our death and resurrection in Christ is not something that we can do. “But here Paul is not speaking about being crucified with Christ by imitation or example-for imitating the example of Christ is also being crucified with Him-which is a crucifixion that pertains to the flesh. 1 Peter 2:21 deals with this: ‘Christ suffered for you, leaving you an example, that you should follow in His steps.’ But he is speaking here about that sublime crucifixion by which sin, the devil, and death are crucified in Christ, not in me. Here Christ does everything alone. But I, as a believer, am crucified with Christ through faith, so that all these things are dead and crucified to me as well” (LW 26:165). We are not left intact when we are in God’s hands. Nor does Jesus’ crucifixion do away with our own death. Instead, the death we die through faith in Jesus is the death. The death at the end of our lives, for Luther, is a slight matter compared to this. Hence, for Luther, faith is a painful matter. All of humanity is judged as condemned when Jesus dies on the cross and all of humanity is objectively justified in his resurrection. In faith we experience our death as self-centered, controlling people and the rebirth of an entirely new person who passively experiences God’s work in him, and gives God the glory which is due him in this very passivity. As receivers of God’s love, we are opened from the inside out. God’s word comes into the core of the person and breaks down all defenses before God-especially in light of our mortality. The person of faith–no longer centered on himself but living for God and the neighbor–is opened up to the world. Christian righteousness is two-fold: passive before God and active in love toward the neighbor and (we can infer) the whole creation. Our salvation is that we are being restored to creation. “Faith…is a divine work in us which changes us and makes us to be born anew of God, John 1[:12-13]. It kills the old Adam and makes us altogether different men, in heart and spirit and mind and powers; and it brings with it the Holy Spirit. O it is a living, busy, active, mighty thing, this faith. It is impossible for it not to be doing good works incessantly. It does not ask whether good works are to be done, but before the question is asked, it has already done them, and is constantly doing them” (LW 35:370). These two kinds of righteousness, the passive and the active, Luther called “our theology” (LW 26:7). The most important theological task of the Christian is discernment. Do others need to hear God’s expectations, law, an afflicting word? Or, do they need to hear a word of comfort, consolation, forgiveness, and thus gospel. The proper distinction between law and gospel Luther calls an art. Our justification is accomplished in the speaking of it: it is something that must be declared to the sinner. And the sharing of this good news actually delivers the goods of forgiveness. Where there is forgiveness there is also life-because our lives are given the very shape or form (forma) of Christ himself. God’s favor is his gift: God’s external word imparts the reality of Christ into believers, allowing them to honor God for his own sake and loving neighbors for their own sake. For Luther, it is no longer a matter of love which needs to shape the matter of our faith or “color” it as medieval theologians put it. Instead, Christ himself is imparted through the word to our being and he shapes our lives. Christ is not only the object of our faith, but also the subject. Christ Jesus is our Lord. In this light, justification by grace alone through faith alone is not to be understood as an “existential” relationship of the self, harmonizing itself to itself, but as a distinctively eschatological word with powerful ontological overtones. Christ remains an alien resident within us, conveying an alien righteousness. Just as God’s word originally spoke and speaks creation into being so God’s word of promise granted in Jesus Christ bespeaks a new creation out of the nothingness of sin and death. We have an alien righteousness and live as new beings out of the life of another: Jesus Christ, crucified and risen. While Luther felt kinship with Augustine’s affirmation of grace, he acknowledged an “imperfection” in Augustine’s thinking (LW 34:337-38). Grace is not an infusion that jump starts our life of holiness. Instead, by means of God’s accusing law, we die. God offers no salvaging or reclaiming the old being. Through the promise, we are reborn and live from a gifted but alien righteousness. Jesus Christ–greatest sinner–is the sinner who justifies all other sinners. To hold out hope for salvaging the old being is nothing other than to “bury Christ,” to make him ineffective, and to deny the cross. In preaching that delivers the goods-that actually conveys God’s embrace of the sinner directly “you belong to me for Jesus’ sake”-the risen Christ is active to gather his people into Christian community, enliven them with gifts, nourish and sustain their new life, and send them forth to embody the golden rule in the world. Although Luther shared with late medieval theologians a vocabulary which had developed over time, the grammar and syntax are now different. It is grace alone and faith alone which are salvific. Likewise, the semantics of justification is different. The promise is itself a word that gives what it promises instead of directing or describing either internal experience or external reality. The word of promise alters us by opening a new being, one not curved in on the self; and thereby the world itself is altered. Now the matter becomes: share this word of promise, since it truly belongs to sinners. Bayer, Oswald. Living By Faith: Justification and Sanctification. Translated by Geoffrey Bromiley. Grand Rapids, Michigan: Eerdmans, 2003. Bayer, Oswald. Martin Luther’s Theology: A Contemporary Interpretation. Translated by Thomas Trapp. Grand Rapids, Michigan: Eerdmans, 2008. Bayer, Oswald. Theology the Lutheran Way. Edited and Translated by Jeffrey Silcock and Mark Mattes. Grand Rapids, Michigan: Eerdmans, 2007. Forde, Gerhard. A More Radical Gospel: Essays on Eschatology, Authority, Atonement, and Ecumenism. Edited by Mark Mattes and Steven Paulson. Grand Rapids, Michigan: Eerdmans, 2004. Forde, Gerhard. The Preached God: Proclamation in Word and Sacrament. Edited by Mark Mattes and Steven Paulson. Grand Rapids, Michigan: Eerdmans, 2007. Forde, Gerhard. Justification by Faith-A Matter of Death and Life. Philadelphia: Fortress, 1982. Iwand, Hans J. The Righteousness of Faith According to Luther. Translated Randi H. Lundell. Eugene, Oregon: Wipf & Stock, 1982. 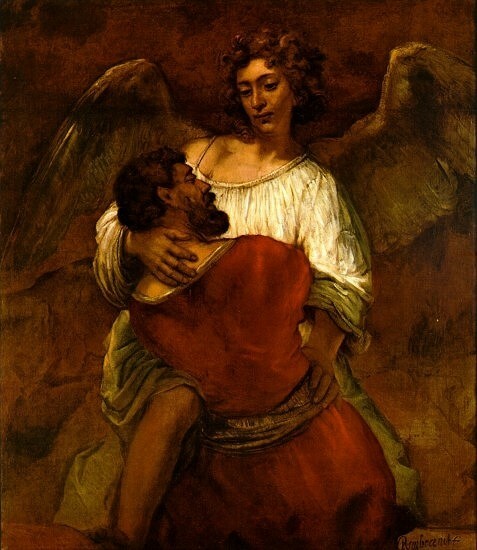 Jüngel, Eberhard. Justification: The Heart of the Christian Faith. Translated by Jeffrey F. Cayzer. Edinburgh: T& T Clark, 2001. Kolb, Robert. “Contemporary Lutheran Understandings of the Doctrine of Justification: A Selective Glimpse” in Justification: What’s at Stake in the Current Debate. Edited by Mark Husbands and Daniel Treier. Downers Grove, Illinois: Intervarsity, 2004. Kolb, Robert and Charles Arand. The Genius of Luther’s Theology: A Wittenberg Way of Thinking for the Contemporary Church. Grand Rapids, Michigan: Baker, 2008. Mattes, Mark. The Role of Justification in Contemporary Theology. Grand Rapids, Michigan: Eerdmans, 2004. Paulson, Steven. “The Augustinian Imperfection: Faith, Christ, and Imputation and Its Role in the Ecumenical Discussion of Justification” in The Gospel of Justification in Christ: Where Does the Church Stand Today? Edited by Wayne Stumme. Grand Rapids, Michigan: Eerdmans, 2006. Walther, C. F. W. Proper Distinction Between Law and Gospel: Thirty-Nine Evening Lectures. Translated by W. H. T. Dau. St. Louis, Missouri: Concordia, 1929.